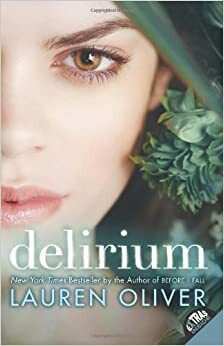 Delirium is young adult novel cleverly written by the author Lauren Oliver. The story is about a teenage girl, Lena Halloway, who falls head over heals with someone she could never be allowed to love or even be with. This is because she lives in a society where love is a disease and when people are at the age of 18 they have to be cured from it or who knows what could happen to them. This entails not being allowed to be in a relationship with someone, however just friends is not enough for Lena. She says “They say that the cure for love will make me happy and safe forever.” As the story flows on Lena start to mistrust what everyone is telling her about the “cure”. “Now everything has changed. I would rather be infected with love for the tiniest sliver of a second than live a hundred years smothered by a lie.” Lena states. Leaving the reader hanging at the end of each chapter, Oliver uses such description that makes you want to keep reading. The descriptions fulfilled the titles of vivid and imagination because you feel like you jumped right into the book and are one of the characters. I also loved how it could be sad at times and then switch to a happy and cheerful setting when you wouldn’t expect it. I definitely would recommend this book to any teen or adult who loves romance and action-filled plot lines within a story.